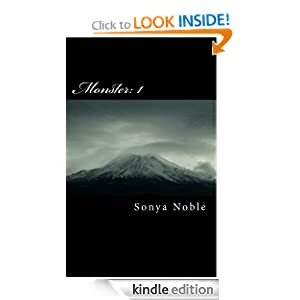 Sonya Noble’s book, Monster: 1, is available for free Friday, Oct. 19 through Sunday, Oct 21 on Amazon.com. It’s a great book from a terrific new author! New place. New town. New life. Cami misses her home. She misses her friends. Making new friends is no problem, but they’re guarding some dangerous secrets. Then she starts showing signs of being like them. She’s kicked out of her home and they take her in. But some of her new housemates are either jealous or afraid of her, and she’s framed for something that she didn’t do. She leaves and tries to make it out on her own. The streets are dangerous, but it’s better than dealing with backstabbers and people terrified of what she might become. Her past keeps coming back to haunt her. Something her unstable mother called her still sticks with her and won’t stop screaming at her: Monster. Is she really a monster? As you can probably tell, I’m a teenaged home schooled author. I’m the oldest of five, and my mom has homeschooled us all since I was, well, in preschool. Yes, school is a walk in the park, if that walk is at night in Western Chicago. So, I have loved making up stories since I was little. First, it started as playing one of the best games in the world: Pretend. What grown-ups see: A backyard, a few trees, some sticks and a swing-set. What we see? We’re a group of ninjas with guns and light sabers, on a mission to kill the Evil Lord of Hades and free the land from His Evilness, but we must first go through the Perilous Lands that will test our abilities and hide from his Evil Minions in the Trees of Safety! And then when I found out that I could actually write this stuff down on paper, they evolved into something even better. Now, I’m not saying that every story I ever wrote was this amazing masterpiece that people would one day call ‘The Next Hunger Games’ or ‘Even Better than Harry Potter and the Lord of the Rings!’ but they did get better. So. Being a writer is also a walk in the park, except you actually have to walk through that Western Chicago park in the middle of the night. In your mind. And being a homeschooled author…well, I need something to occupy all of my time, right?